Growing up on a dairy farm in Petrie in the Moreton Bay Region, Jubilee client Nancy never thought she would see the change she has in the past 100 years. 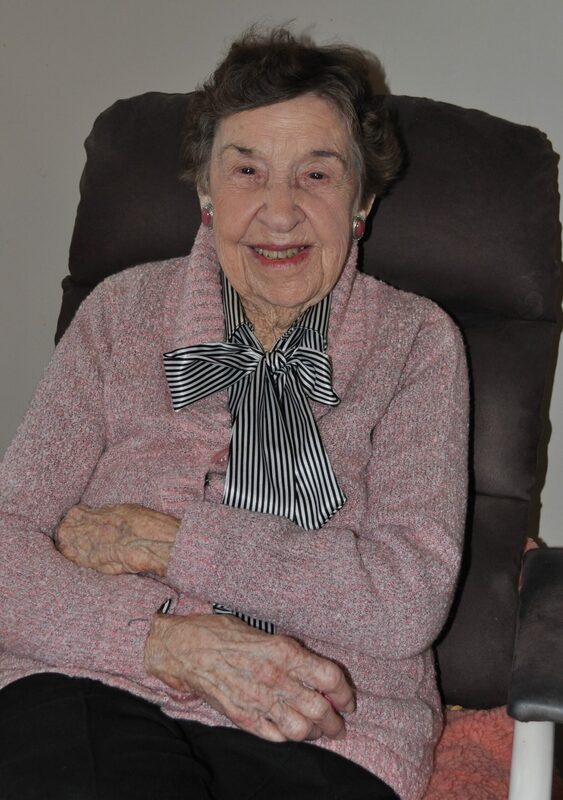 Nancy, who has lived for almost 70 years in Bardon, is in awe of the progress of the suburb and the city. “I was born in Wooloowin Private Hospital and my parents had a property at Petrie, a dairy farm. In those days there was no electricity and phone. We had a couple of fellows working for us and I used to help out too,’’ Nancy said. After marrying, Albert was sent to Japan as part of the British Commonwealth Occupation Force and only saw Nancy every six months when he received leave. After four years Nancy joined him in Japan where she worked in a BCOF office. At 34 Nancy returned home to Brisbane and lived with her parents until she and Albert bought land and built a house at Bardon. In October 1952 daughter Robyn was born.